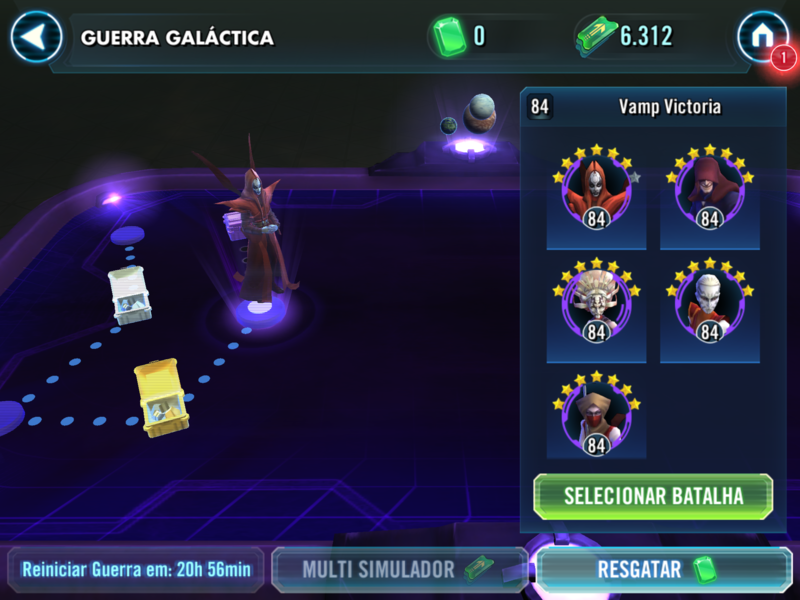 I am creating this thread to document the GW matchmaking issues that have been happening over the last month and a half. When you post to this thread, take screenshots of your War map(what node you are on), all 5 enemy combatants, and a shot of your Roster from the training screen so you can compare the GP of your top characters to what is offered in the GW Matchup. I would like to keep discussions on how GW is broken to other threads as there are plenty. This one I would prefer just for documentation. This is my son's level 55 account. As you can see, 32K squad going against a top 5 of 18.6K Not quite double my son's GP but quite a gap. None of his guys are G7 but his top 7 or 8 are G6. Also on node 4, which is generally considered the 2nd or 3rd weakest node. 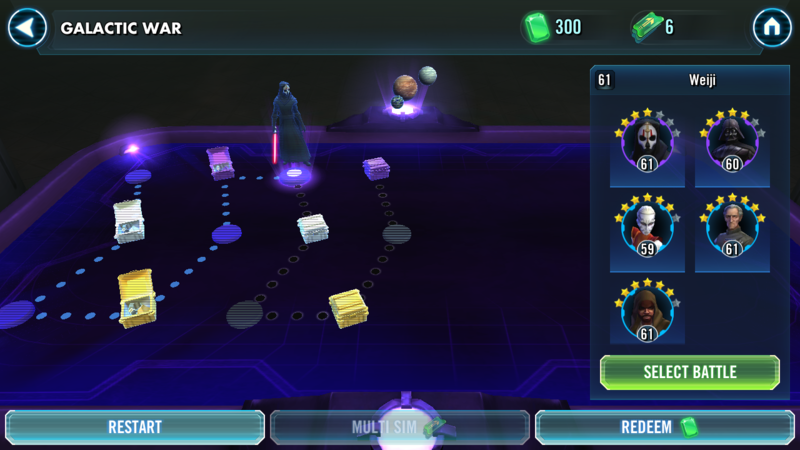 Also to note, if the group you ran into is just a high synergy team like Nightsisters or Phoenix and within 15-20% of your top 5, it's probably working as intended. GW does not scale of GP. Stop asking for a metric that's totally unrelated! According to the developers it does. That is referring to Stat Power, not Galactic Power. 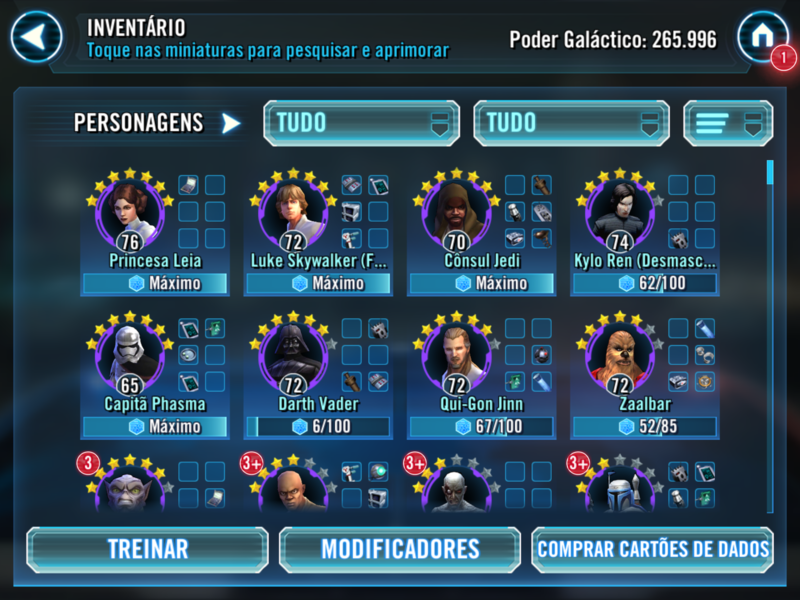 We're not yet currently using the new Power values for Galactic War matchmaking. We've only changed the number displayed to players. We're still using the old system with the old values. We'll let you know if/when we switch to using the new numbers for matchmaking. "Insert cool kozispoon meme here"
Hiya! You peep that update? What's up with that? Well read on, dear reader, read on! The Power rating has long been a prominent display of a unit's general effectiveness. Though this rating is intended to be a useful way to quickly identify how strong a unit is, it has become less and less effective for this purpose over time. This is primarily due to the formula being based entirely on the raw base stats of the unit, which doesn't account for its utility, ability levels, or synergies. Furthermore, higher gear tiers that have been added since launch, as well as the existence of mods, have resulted in large gaps in Power rating even between units that are similarly effective in combat, simply due to the way that certain stats are weighted relative to others in the formula. 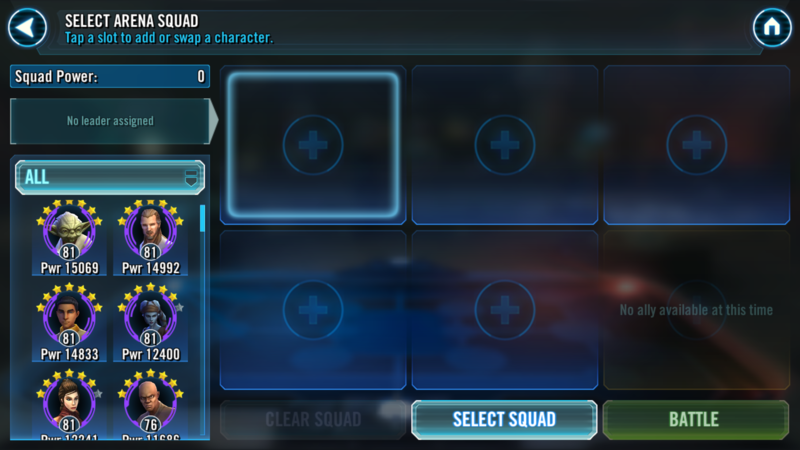 One special case is that a Zeta ability upgrade at level 8 is worth much more than an Omega ability upgrade of the same level. Due to the way the new Power formula scales, the Power ratings of your units will generally be as high or higher than the Power rating you saw before (with the exception of ships with very few upgrades on the crew or the ship itself, which will be noticeably lower until the crew has a few upgrades.) 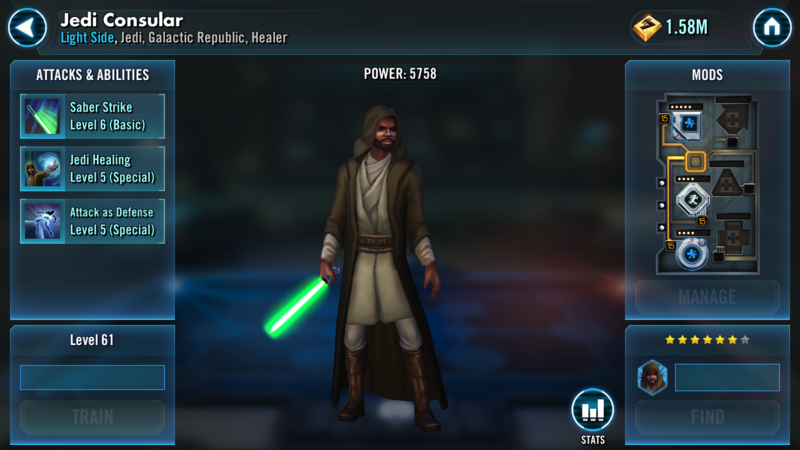 As a reminder, the Power stat is not used to drive any battle functionality whatsoever--it is purely intended to be a reference point--but we still feel these updates are important to help players better evaluate the improvements they're making to their units, and how effective their units are relative to potential opponents. 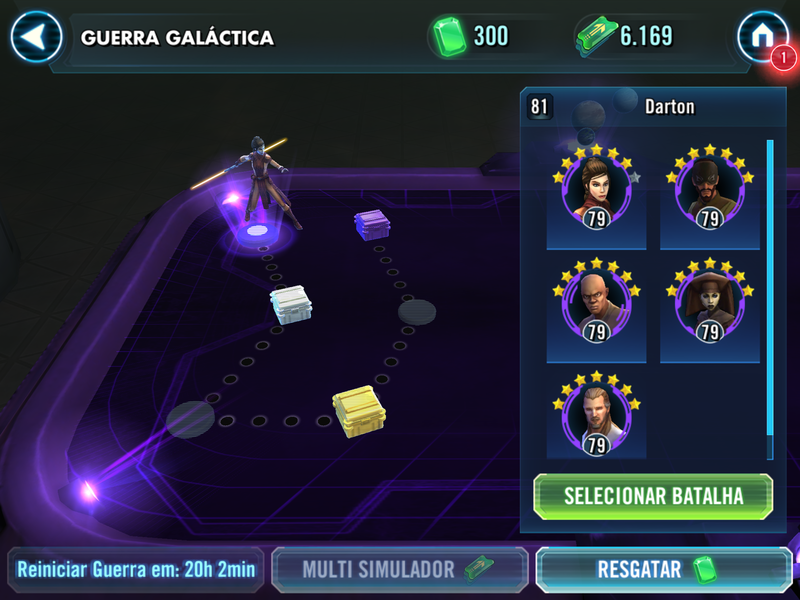 They're not yet using the new Galactic Power values for GW Matchmaking. Unfortunately it is the only number we have to compare the two squads. I can't think of any reasonable metrics that battle 4 should have that much power over my son's top 5. It's also quite funny how the battles are awfully close to what has been researched regarding a GW node relative to your character's power when it is performing normally. Either way, what we saw in that battle 4 match up is NOT working as intended. (OR at least it wasn't up until early October.) Using GP does give a visual of how OP the battle in question is. See the 2nd number circled in Red? That is Stat Power. Listed just below Galactic Power. 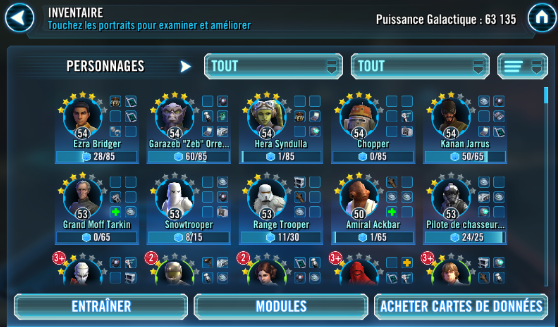 My son doesn't have a SWGOH.GG yet, but I do, and when I look at my characters I don't see a stat power in red. Just power. Granted, they are G8 or G9, but only power listed. 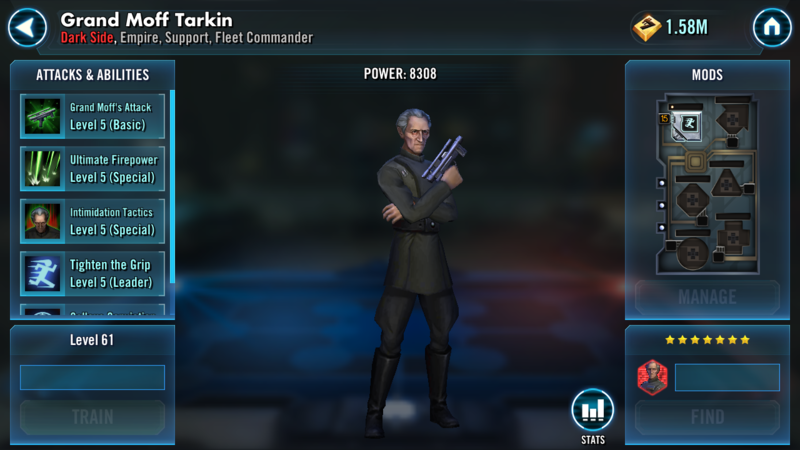 Swgoh.GG stopped listing it. I'm not sure if they ever will again but that is the only relevant metric to GW Matchmaking. Let me at least elaborate further so you can gain some insight into this metric. Firstly, Stat Power is heavily weighted towards stats like Health and Protection. So if for example you invest in sub par tanks like Clone Wars Chewie, you are unnecessarily increasing your own Stat Power and increasing the difficulty of opponents that you'll meet. Secondly, Stat Power does not account for any synergy within the team. That's why Phoenix teams are a great starting team as they can perform a lot better than other teams with similar Stat Power. Thirdly, Stat Power does not take into account Zeta abilities. You will eventually hit a bigger road block of opposing teams with Zetas. 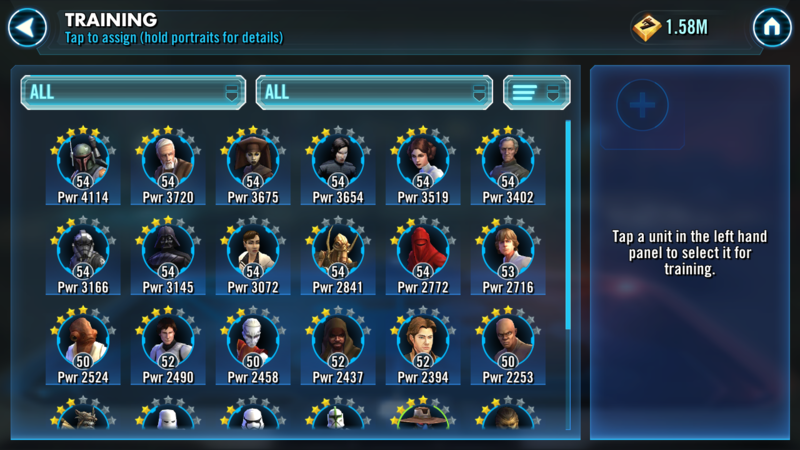 Each zeta ability gives a lot of GP, something like 2k? But none or low Stat Power, making them eligible opponents for a much weaker roster. 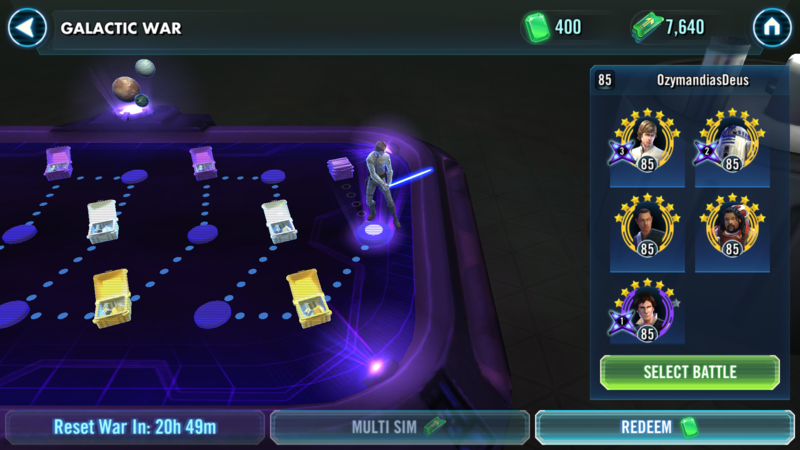 Lastly, the GW nodes scale to the highest Stat Power you've used as a team in any mode, whether it be in cantina/Squad Arena/GW. Do not ever send like 5 fat tanks into any mode unless you like challenging yourself. I appreciate the information. However, that doesn't do much to solve the issue at hand that we are seeing completely OP teams on random nodes in GW that make zero sense. I proposed using at least a metric we can see and while it is not entirely accurate, it does provide a pretty solid base for somewhat an apples to apples comparison. Also it may be flawed data, but it is far better than seeing posts whining about GW difficulty because someone's roster is too top heavy or they fought a good synergy team that happened to actually be in the right range for whatever node they were fighting on. Also, if Power does include health and protection, than G7+ guys and 7 star guys will completely overpower lower gear and star guys, even more so than the power shown on the character screen would indicate. As far as I can see, your son's account is too spread out. Pick a lightside (Phoenix?) And darkside team and develop them. The characters he has worked on so far have very very little, if any, synergy. That nihilus team could be easily beaten by say a Vader or tarkin lead empire with your son's roster. Also too, you don't shownus mods, that makes a huge difference. GW doesn't scale off your overall roster, just your top 5. What metric is used is under question, but the top 5 part isn't. So being spread too thin is kinda impossible in GW. It can kill ya in PVE or Arena though for sure. 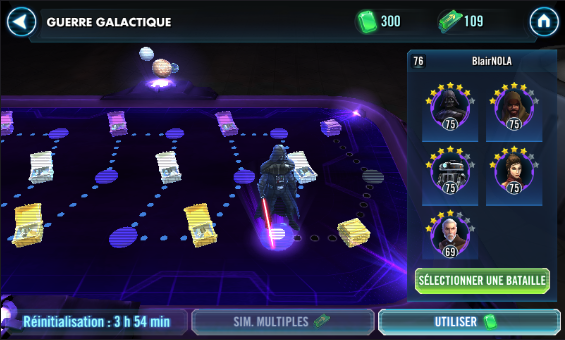 You think a Vader team with 18.6K power can take that 32K power Nihilus team? I don't. Not at G6. And if your answer is to level the team up higher, than whatever metric is used to create that GW matchup will only increase, causing the difficulty to scale up. 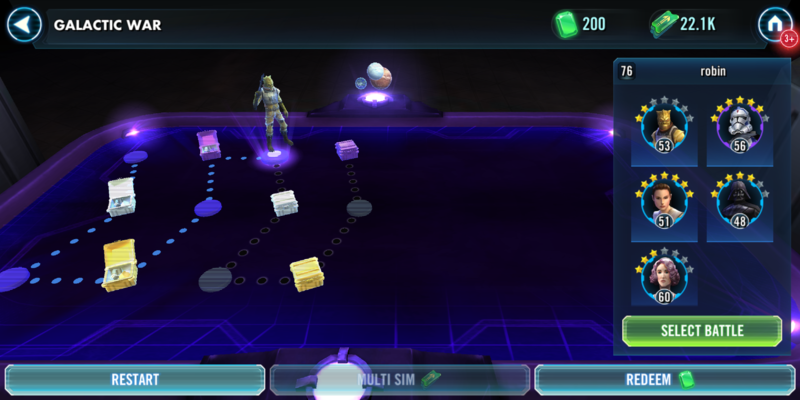 SO if the GW algorithm is not broken, why the INSANE power differences for the same node with the same basic account stats?? If that were battle 12, I might not think too much of it. But at battle 1, definitely proof of a broken matchmaking system. Will this crazy ##$#@#$## be fixed ever??? Maybe someone want to suggest rooster development? To build as side project team with twice gp of current? As mentioned in point number 3 of my list, Stat Power does not take into account Zetas. It's not a bug. Matchmaking provides you opponents of close to your streinght. System unable to provide proper matchmaking due to design gaps. And this matchmaking is obsolete. You can call it even regression defect. Matchmaking broke with multiple new features added. Unability of system to take this and other things into account is a defect which should be addressed. Zeta is not the only issue here. There are so many feedback on this. It should have been addressed instead of adding useless helmets to clone troopers. Second time in a row. Obsolete design and bugs are two different things. Huatimus is right. The bug is not including Zetas or Omegas(or abilities in general). That's baked into the cake, and if it were the only thing seen, would not cause issue. 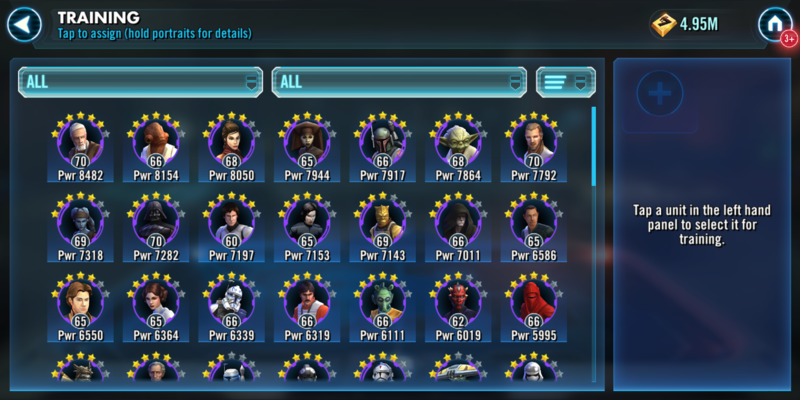 The bug is in getting overpowered teams on a GW battle relative to the power of the account since October. And again, under NO metric could the examples shown be appropriate for the node relative to the account power. A couple of the many examples may be legit for a node 12 or 11, but not node 1 or 2 or 4. So this one is one I haven't noticed but the 2 star Bossk caught my attention so I checked it. Node 3 squad power of 24168 compared to the 40547 account top 5 power. 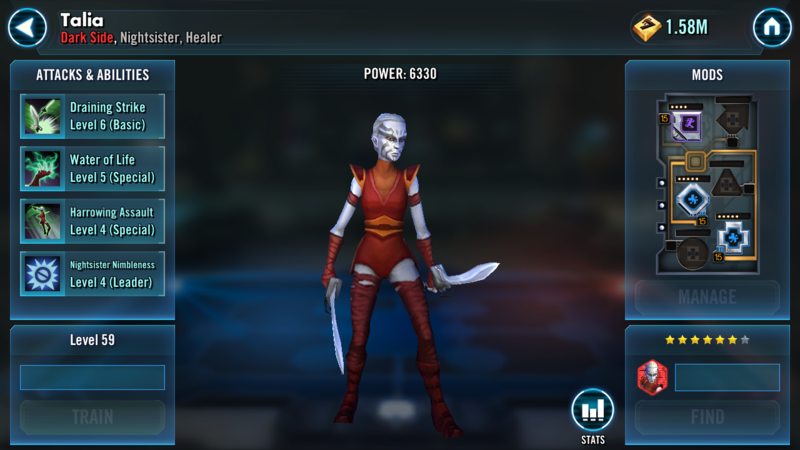 According to the GW node averages, the opponent should be about 4000 power higher(69-70% of the account top 5 power). It's not an impossible matchup, but it is however indicitative that something is wrong with the matchmaking. It is giving a battle 1 level enemy on battle 3. May not seem like much, but I thought it only fair to document when it was in the favor of the player. It looks like you're using Galactic Power in your calculations. What are the stat powers? 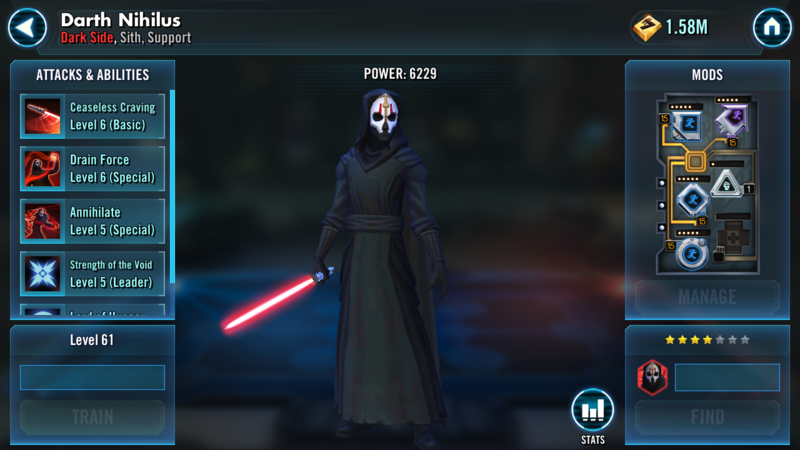 As I have previously said, swgoh.gg isn't showing stat power for some reason. I am using GP as it is the only apples to apples comparison we can make between the two teams. Now I admit in THIS instance where it appears to be about 4K(10%) off that COULD explain it. The fact that stat power is notorious for health/prot counting more than it should and a couple extra tanky types being in that team could explain. Otherwise would be a normal GW team for battle 3. Almost all of the research done into seeing what to expect on what battle of a GW power wise to your top 5, they used GP as well. After a couple dozen campaigns worth of battles were able to get within 1% of a predictable outcome. If that is indeed the case, then it in no way invalidates any of the 50K vs 25K we have been seeing in this thread and elsewhere. 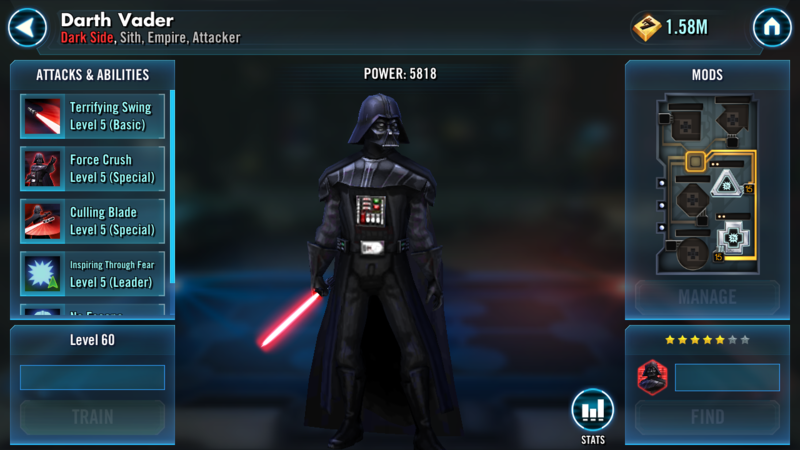 As I have previously said, swgoh.gg isn't showing stat power for some reason. I am using GP as it is the only apples to apples comparison we can make between the two teams. ... but GW matchmaking is based on oranges — not apples. And as you correctly suggested, if comparing oranges instead, the match—up you discussed may be spot on. Well we have an answer. A bug sometimes causing the opponent to not match the expected power.